You might remember that I was participating a challenge aka BookTube-A-Thon whereupon I was supposed to read seven books in seven days. Did I succeed? Did I finish this? Well, I DNFed at 35%. This is written in a style similar to how Jane Austen writes, but for me it didn't have the same social satire element. Similarly, the author was clearly poking fun at the other two romantic interests Venetia has - the same way Austen shows you that Mr. Collins in Pride & Prejudice is an absurd character - but in a romance novel, I want to know more about the main character's relationship. Not these misogynistic douches. And instead of the hate turned love of Pride and Prejudice, the main character falls into an easy friendship with the main romantic interest and... there's not much tension. I read a lot of Regency and historical romance novels. This shows me how much things have changed in the writing styles and general outlook. This book, everything has been pretty chaste and doesn't have the same tension of other Regency romances (published nowadays) since the styles are so different. So essentially this makes me think: this book is not for me. There's nothing bad about it, but my expectations have been changed based off what I've read. If I'm reading a Jane Austen like style, I want more of her work; if I'm reading a Regency romance, I want something more similar to what I've already read. The amount of literary references though is really impressive. 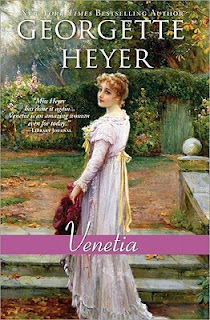 If you want a Jane Austen styled romance, Georgette Heyer is your author. Did I finish this? YES! A funny, frank book about death (though if you get easily offended, perhaps this book's humor is not for you). Wasn't sure that a comedic book about death was possible, and for so long the MC tells you that the book is about nothing, but then there's the gut punch and realizations and oooh, I want to see this movie. Also, I usually dislike when the main characters break the "fourth wall" and essentially tell you that they're writing the book you're reading because it makes me too aware that I'm reading the book and gets me all analytical and bleh. But I actually really enjoyed how Jesse Andrews used that technique in this book. 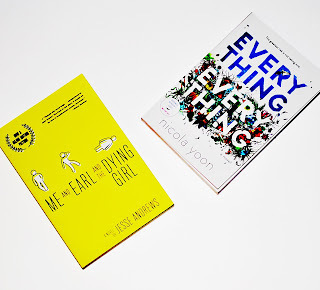 The Fault in Our Stars is a pretty comparison title in terms of plot, but the voice in Me and Earl and The Dying Girl is very distinctive, and I would suggest you read an excerpt if you're uncertain. I have conflicting thoughts about this. First: cool concept. I mean, c'mon, who doesn't want to have enough money to travel around the world? And traveling around the world in 80 days or less! Talk about temporal tension in the story... I like the idea of a cool, reserved Englishman who puts this bet about being able to travel around the world in a limited time frame just for honor's sake. I like the writing style. And I like the epic adventure aspect of the book. This is sort of a book I would fully like if I could dissociate it from its... context. All the racism (greedy Americans, pillaging Sioux, Indians who are in the middle of performing human sacrifice, etc. ), the sexism (the only female character of note gets very few lines and is essentially the damsel in distress who'd been rescued by the cool, reserved Englishman and now felt "gratitude" (or more) to him), the colonial superiority (this review discusses that). If I could forget all that existed, maybe I'd have liked this more. I would SO be down for a retelling, though, that wasn't racist/sexist/colonially superior. Maddy and Olly are so cute together. This is a book written with heart and written in an easy to read style. A page-turner of adorable proportions; and I particularly loved how the illustrations and other formats (e.g. vignettes, the short reviews since Maddy has a book review tumblr) were incorporated. In the above video, I discussed / showed one of the illustrations of Maddy in outer space while Olly was on Earth. Everything, everything is going to be a big fall title. It already has 2,000+ ratings on Goodreads. What are you waiting for? Did I finish these? Nope! 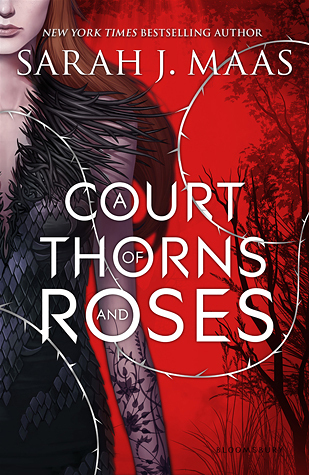 I was annotating a copy of A Court of Thorns and Roses by Sarah J. Maas as a gift for a friend's birthday. That, I finished. So that was a reread + annotation. REALLY THAT SHOULD COUNT AS TWO BOOKS. Do you know how LONG it takes to annotate a book? But annotated books are so much fun to read! It's like your friend is right beside you as you're reading. It reminds me of when I was reading the seventh Harry Potter book with my friend in our hotel lobby, and she was about twenty pages behind me, and so whenever she made a noise, I was like did you get to X part yet? Oh, yeah, Fred's joke was so great. ANYWAY, even if you don't count that as 2 books, it's still either 5/7 or 6/7 which is a GOOD RESULT. *pats self on the back*. As for those other books, okay, so they'll get pushed off onto my August TBR. Court of Fives and The Accident Season are actually being released in August, so it's my goal to review them before their release date! Hopefully. As for The Golden Specific, well, that one is OUT, my friends. If I have somehow interested you in the awesomeness that is The Glass Sentence and its sequel, you may purchase these at a bookstore of your choosing. 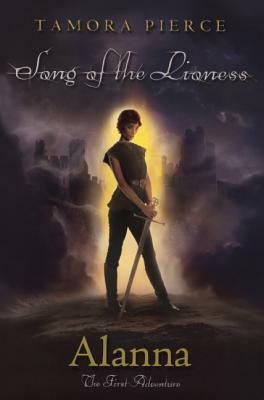 I am currently reading Alanna: The First Adventure (Song of the Lioness #1) by Tamora Pierce with Nicole of the Quiet Concert! When I was in high school, people recommended Tamora Pierce, specifically the Alanna quartet, to me, along with something by Amy Tan. I didn't follow either rec. Some years later, I read the first 20 pages in a used bookstore. I still didn't buy it (I thought it was MG, actually!) until I was in the Strand last year. Man, I wish I had followed this recommendation earlier. High school me would've eaten this up! Alanna's struggles to be taken seriously and treated as an equal in a male-dominated world, while she is training to be a knight and thus dressing as a boy -- totally my thing then. Also my thing now, though I'm more comfortable with myself now haha. I'm loving seeing how other YA fantasy authors have been inspired by Tamora Pierce and I'm looking forward to being enveloped in the Tamora Pierce fandom. I have a couple more books to add to my August TBR. 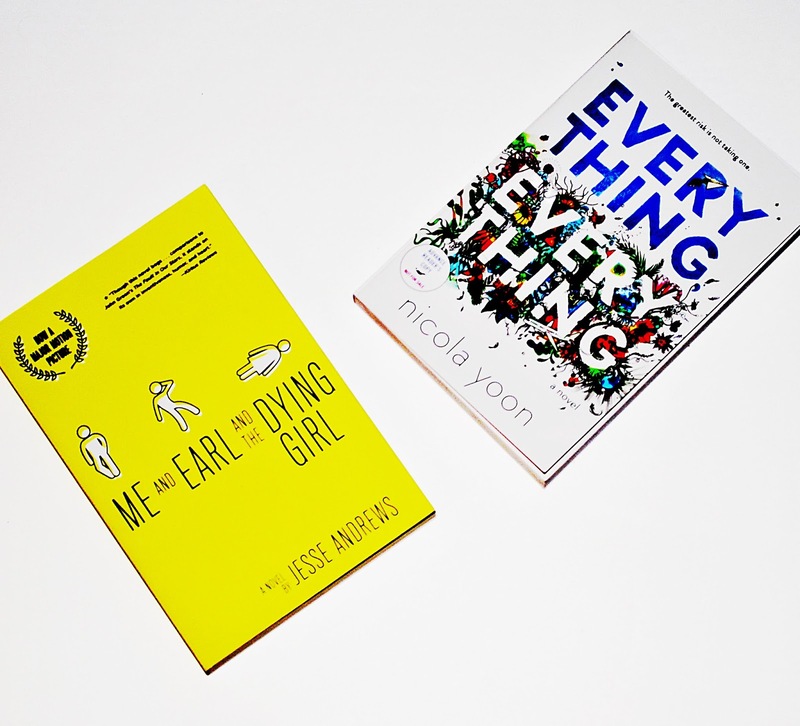 Namely, MG books that are being released this month and that you should be excited for too! A non-MG title that I purchased and that I'm hoping to read is Shadowshaper by Daniel Jose Older. Do I think that I'll be able to read ALL these books in August? Uh, well, probably not. But then they'll roll into September.... and so it goes. What did you read last week? 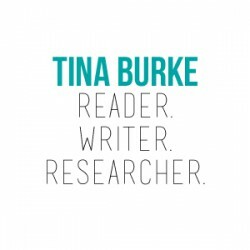 Did you participate in BookTube-A-Thon and how successful were you? What are you planing on reading this month? Have you read any of the above books? Let me know :).